​West Ham midfielder Jack Wilshere will miss West Ham's Premier League match against Everton on Saturday, after an injury put him out of training this week. The Hammers travel to Goodison Park rock bottom of the league table with zero points on the board from their first four games of the campaign. Wilshere suffered his ankle injury early this week and was unable to train for the last few days. The club has now confirmed that the 26-year-old will miss this weekend's trip to Merseyside. 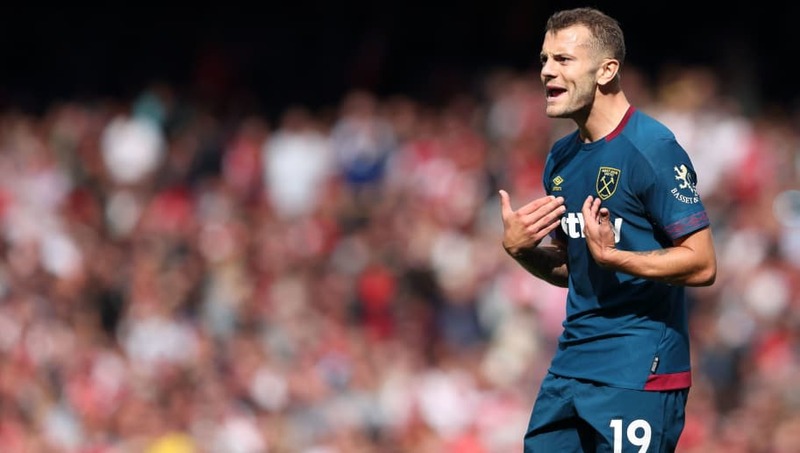 Wilshere has played all of ​West Ham's league matches so far this season since joining on a free transfer from Arsenal during the summer, but fitness has always been a problem for him throughout his career. The former England midfielder has missed over 150 matches through injury since his senior debut in 2008, and manager Manuel Pellegrini will hope that this isn't a recurrence of the ankle injury which plagued his time at Arsenal. Wilshere has been placed on a specialist training regime since his move to West Ham in an effort to manage his fitness problems. The severity of this latest injury is not yet known, with Wilshere set to undergo tests in the next few days. Pellegrini will hope to have him fit for the next match as West Ham face a very difficult series of fixtures. After this weekend, the Hammers face Manchester United, Chelsea and Tottenham in their next four games, with a difficult trip to Brighton sandwiched in-between.